Since there is no actual cure for idiopathic pulmonary fibrosis, doctors will generally recommend various treatments to improve the quality of your life. These usually include prescriptions for FDA-approved pharmaceutical drugs if your doctor decides that one or more may be suitable for your condition. IPF specialists from around the globe meet every few years to recommend for and against treatments for this disorder. Some treatments that appear promising in small studies do not pan out when studied more rigorously in larger groups of patients. Therefore, the guidelines evolve over time as new information becomes available. The most recent Clinical Practice Guidelines date from 2015, and we present a summary of their recommendations. 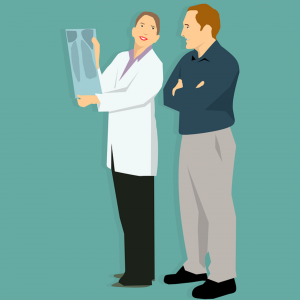 Since the course of IPF varies a great deal from patient to patient, your doctor will tailor your treatment to your unique medical history and conditions. This FDA-approved drug which is also used in Europe has been shown to slow the decline in lung function and reduce the number of severe breathing episodes compared to people who did not take the drug. Nintedanib acts by helping to prevent additional scar tissue from forming – known as antifibrotic activity. In addition to having FDA approval in the US, doctors in Canada, Europe, and Asia also prescribe this drug. 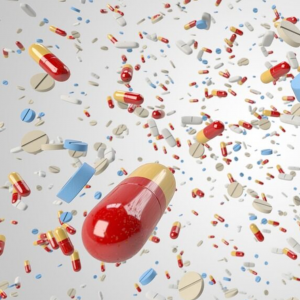 Pirfenidone improved the quality of life of a number of IPF patients enrolled in clinical studies, but some patients cannot tolerate its side effects. In addition, the drug is extremely expensive. Pirfenidone inhibits the activity of an enzyme that is thought to be involved in the pathway that produces the scarring in your lungs. Since 90% of the people diagnosed with IPF also suffer from gastroesophageal reflux disorder (GERD), it is likely that you do, too. Since researchers think that many people breathe in the acid and further damage their lungs, your doctor may advise you to take Pepcid® or Prilosec® to prevent GERD. Powerful drugs such as prednisone act by reducing inflammation. However, they can have severe side effects. Since IPF is no longer considered to act by increasing the levels of inflammation in your lungs, doctors strongly recommend against taking these types of drugs if you are an IPF patient. Doctors will make an exception if you suffer an acute exacerbation phase – your symptoms rapidly get dramatically worse. Since this type of phase can last for days to weeks and be life-threating, rapid treatment is critical. When it gets progressively more difficult to breathe, you will need to inhale supplemental oxygen. Your situation will dictate how frequently you will need to breathe extra oxygen. At first, you may just get breathless during exercise, so you would only need to breathe oxygen when you exercise. However, if your oxygen levels are always low, you may need to breathe oxygen around the clock. 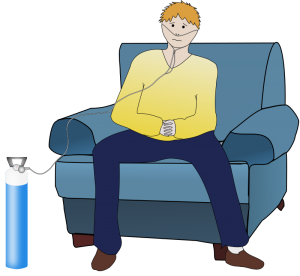 In this case, you will use a nasal cannula (prongs) hooked up to an oxygen tank. You may still be able go out and about while breathing oxygen if you use one of the small canisters that are available. The federal website MedlinePlus provides a number of tips on how to adapt to oxygen treatment along with critical safety tips for using this flammable gas. 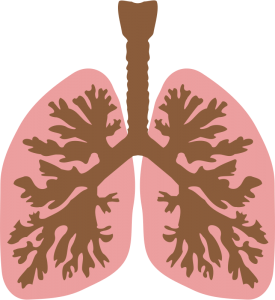 When your symptoms get severe, you may be a candidate to get a lung transplant. A successful transplant can improve your lifespan and reduce your symptoms. However, this procedure involves significant risks which can include rejection of the new lung. If you undergo this procedure, you will need to take drugs to prevent rejection the rest of your life. In the past, medical experts generally would not approve lung transplants for patients older than 65. However, as surgical techniques and outcomes improve, more medical centers are approving transplants for older patients. Since there is a shortage of lungs, some doctors advise that you get on the waiting list for a lung as soon as you are diagnosed with IPF. The process of being approved for one can take months or even years.